Rajarshi Shahu College of Pharmacy, Buldana was established in the year 2012 by the Dwarka Bahu Uddeshiya Gramin Vikas foundation. The mission of the college is to impart high quality technical education and training that enable students to acquire in depth knowledge and expertise in the field of pharmaceutical sciences. The college is approved by the All India Council for Technical Education, New Delhi and affiliated to the Sant Gadge Baba Amravati University, Maharashtra. Rajarshi Shashu College of Pharmacy is situated in the prime location of the Buldana, Mumbai. It is located near the post Malvihir, Botha Road, Buldana, Khamgaon Road, MH MSH 24. It spreads over an area of about 13 acres of land. The college is well-connected through bus/rail/airways in India. The college has well-equipped state-of-the-art infrastructural amenities in the campus. It includes state-of-the-art laboratories with all equipments, instrumentation room, instrumentation centre, medicinal plant garden and library having latest books, national and international journals. The college has also many others facilities regarding student’s primary need. Placement cell communicates and visits the industry to arrange campus interviews for UG and PG students. It also contacts alumni of the college for available vacancies or openings in industry. The passed out students are also informed about job openings for off-campus interviews. 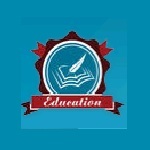 The students of the college are placed in reputed Pharmaceutical companies like Sun Pharmaceuticals Pvt. Ltd., Cipla Pharmaceuticals Pvt. Ltd., Emcure Pharmaceuticals, Cognizant, Etc.